We set out to track down some of those special speeches. Every speech on this list led to direct and lasting changes throughout the world, and even to this day. Download your free copy here. Want to give the next famous speech? 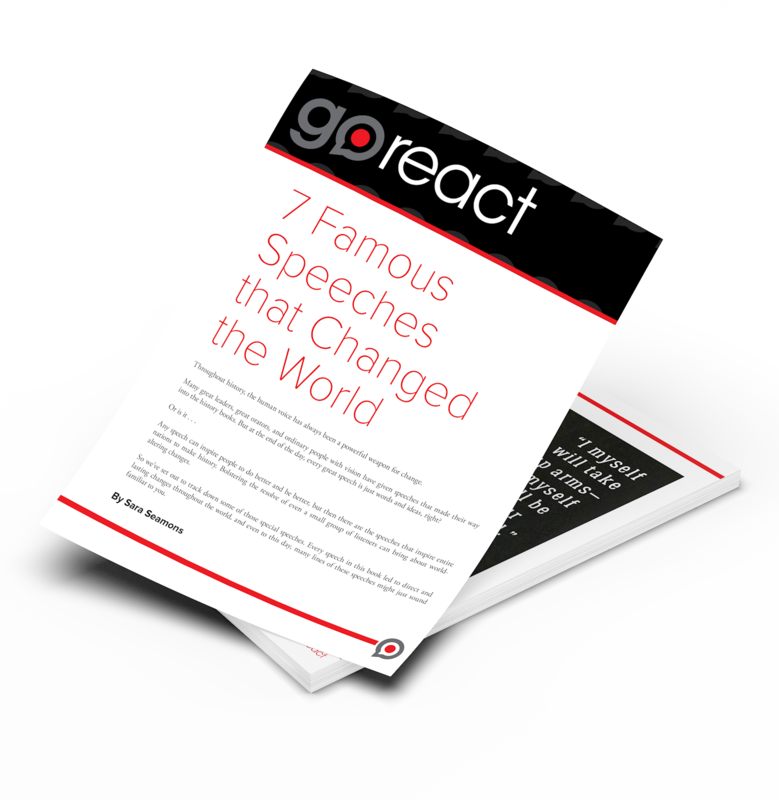 GoReact can help improve your public speaking.